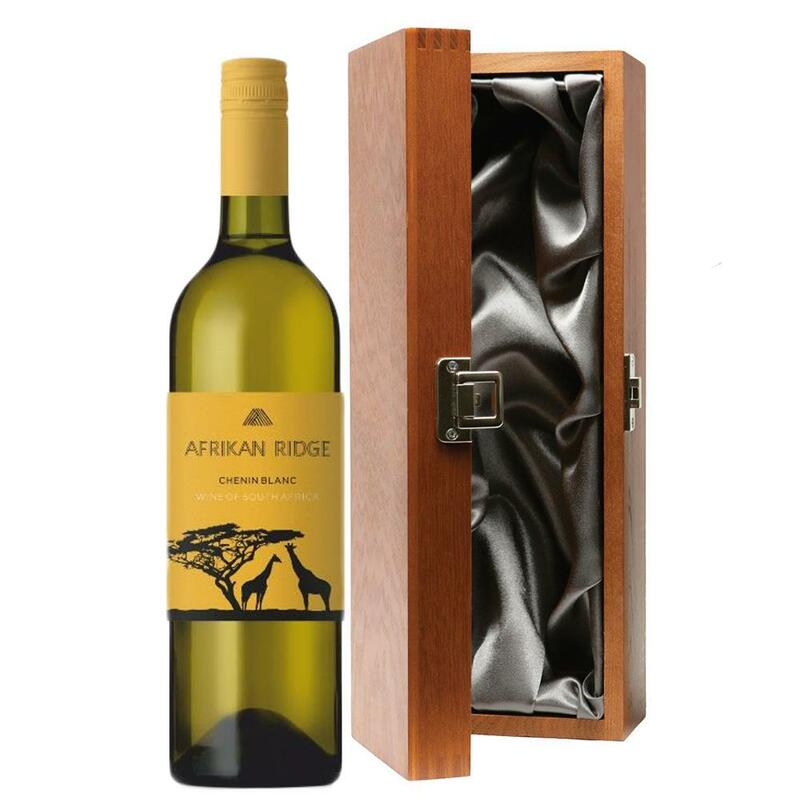 Luxury added to your bottle of Afrikan Ridge Chenin Blanc with the alluring wooden case with hinged lid. The case is made from wood, which is beautifully complemented with stainless steel hinges and clasp. This case adds the ultimate luxury to any gift and is delicately lined with silver satin. Crisp, dry and subtle with medium body. The nose charms with an abundance of guava and gooseberries. The palate is balanced by crisp acidity to ensure a fresh and fruity style of wine This product is hand packed onsite by Bottled and Boxed, and is not affiliated with any other brand. Bottled and Boxed is responsible for this product combination/set.